The French mobile phone maker, Alcatel, is known for making primarily cheap low-range smartphones, featuring poor performance and hideous design aesthetics. Though, its most recent goodies, the Idol 4 and Idol 4S, seem to be taking the company out of this pigeonhole, as they both come with rather distinguishing looks and solid tech specs. In fact, as a number of publications have pointed out, the metal frame and glass body the two handsets offer is quite reminiscent to other premium Android flagship smartphones, such as the likes of Samsung’s Galaxy S6. 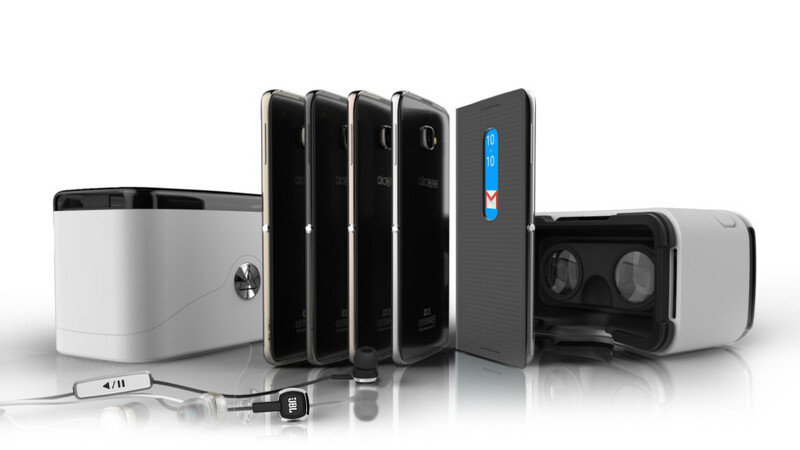 So, without any further ado, let’s take a closer look at the Idol 4 and Idol 4S. The Idol 4 sports a 5.2-inch LTPS IPS LCD capacitive touchscreen, with a resolution of 1080 x 1920 pixels and 16M colors. Underneath the hood, the phone is powered by a Qualcomm MSM8952 Snapdragon 617 processor, housing four Cortex-A53 cores clocked at 1.7GHz and four Cortex-A53 cores clocked at 1.2GHz, coupled with 2GB or 3GB of RAM and 16GB of internal storage and Adreno 405 GPU. Built-in storage is expandable via microSD card up to 200GB. Camera wise, the primary shooter, located on the rear, shoots at 13MP and packs f/2.0, phase detection autofocus, dual-LED (dual tone) flash, Geo-tagging, touch focus, face detection, panorama and HDR. The secondary ‘selfies’ camera, embed on the front, comes with a 8MP sensor. Both cameras shoot 1080p video. In terms of connectivity, the Idol 4 has been fitted with micro USB v2.0, LTE, 3G, GPS (with A-GPS), WiFi, Bluetooth v4.2 and FM radio and Dual SIM (Nano-SIM, dual stand-by). To accommodate the 5.2-inch screen, Alcatel has backed the device up with a non-removable 2,610 mAh battery, which is expected to fully recharge in just an hour. 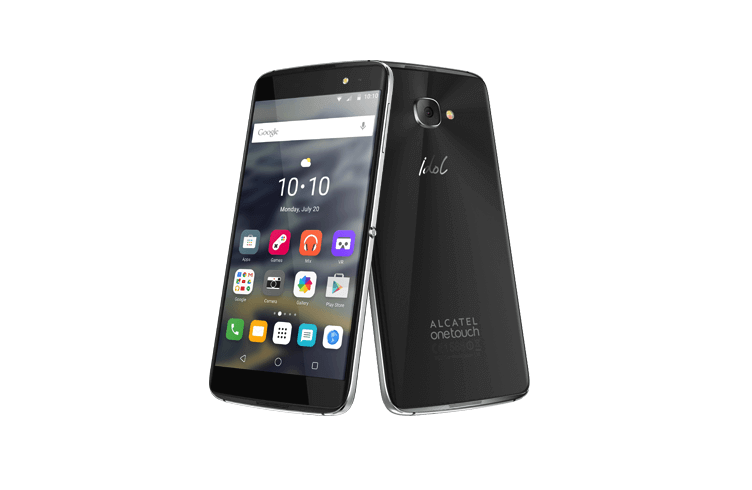 Dimensions wise, the Alcatel Idol 4 measures 147 x 72.5 x 7.1 mm (5.79 x 2.85 x 0.28 in) and weighs 130 g (4.59 oz). The device will come with the latest Android 6.0.1 Marshmallow straight out of the box. The larger Idol 4S sports a 5.5-inch LTPS IPS LCD capacitive touchscreen, with a resolution of 1440 x 2560 pixels (~534 ppi pixel density) and 16M colors. Underneath the hood, the phone is powered by a Qualcomm MSM8976 Snapdragon 652 processor, housing four Cortex-A72 cores clocked at 1.8 GHz and four Cortex-A53 cores clocked at 1.4 GHz, coupled with 3GB of RAM and 32GB of internal storage and Adreno 510 GPU. Built-in storage is expandable via microSD card up to 200GB. Camera wise, the primary shooter, located on the rear, shoots at 16 MP, f/2.0, phase detection autofocus, dual-LED (dual tone) flash, Geo-tagging, touch focus, face detection, panorama, HDR, 2K video. The secondary ‘selfies’ camera, embed on the front, comes with a 8MP sensor packing LED flash and 1080p video. To accommodate the 5.5-inch screen, Alcatel has backed the device up with a non-removable 3,000 mAh battery, which is expected to fully recharge in just an hour and a half. Dimensions wise, the Alcatel Idol 4S measures 153.9 x 75.4 x 7 mm (6.06 x 2.97 x 0.28 in) and weighs 149 g (5.26 oz). 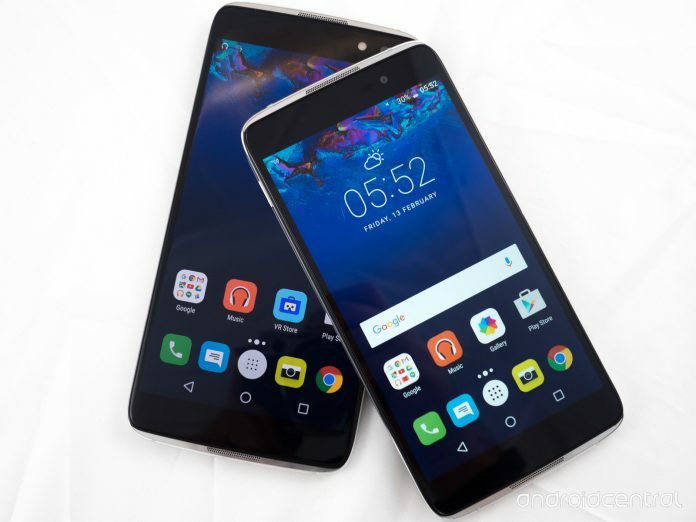 Alcatel has not shed much light onto the pricing and availability sector, though it did clarify that both handsets will not make waves into the U.S. market, though they should be hitting the European and Asian stores in the next few weeks. Pricing is estimated at around $280 for the Idol 4, while the larger sibling – Idol 4S – will evidently set you back something between $400 and $500.